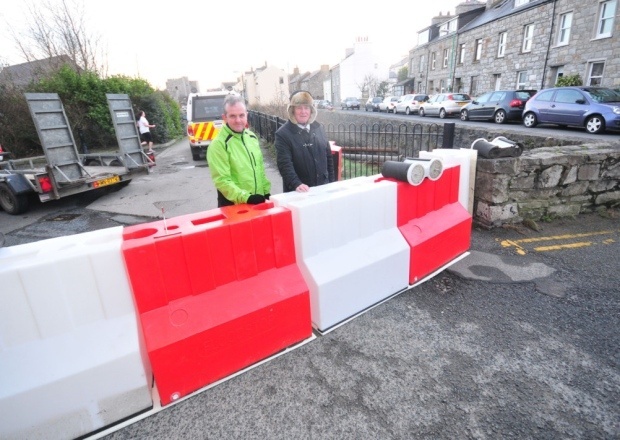 A dummy run of a new flood defence barrier in Castletown last Friday went well, said the town’s MHK, Richard Ronan. He said it did its most important job: it reassured residents the department is on top of the problem. Castletown was badly flooded last year by high tides and storm surges. Preparations are being made for high tides forecast this weekend. Castletown on the Isle of Man suffered serious tidal flooding in 2002 and 2014 and the procurement of our 0.9m high Floodstop was a measure taken following these flood events. The Isle of Man is an island located of the west coast of England and is susceptible to flooding when strong winds and high tides combine.